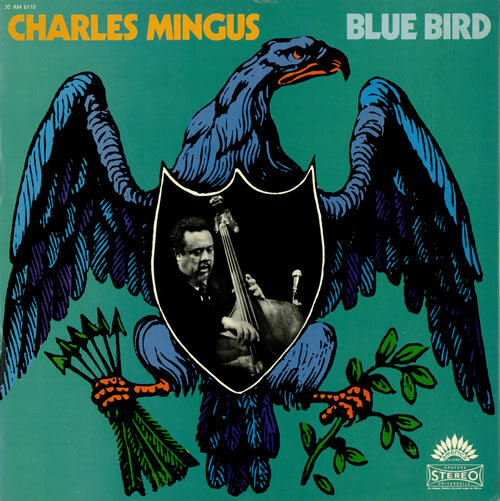 CHARLES MINGUS Blue Bird (1971 French 3-track stereo LP, also starring Bobby Jones [tenor sax], Dannie Richmond [drums], Jacky Byard [piano], Charles McPherson [alto-sax] and Eddie Preston [trumpet], opening with the Mingus classic 'Reincarnation Of A Lovebird', front laminated picture sleeve. The sleeve shows just a little light shelfwear & the vinyl remains in excellent condition with just a few light surface scuffs to show for its forty five years 30AM6110). or visit our Charles Mingus image gallery.